I’ve been using Windows 7 for eighteen months now. I felt a bit silly when I finally decided to learn how to use one of Windows 7 most advertised features the other day- the “Snap” feature to display two windows side by side. It looks great! This discovery made me think about the large number of Windows 7 users I know who aren’t using some of the great features Windows 7 has to offer. I’m the type of person who is often looking for a better way to do things so I am sometimes perplexed to see many computer users happy taking the long route. I continually find myself frustrated using the computer in my classroom that is hooked up to the interactive whiteboard and is running Windows XP. I miss some of my timesaving features! I thought I’d share some of the Windows 7 features that I love. Please comment with any other features you enjoy! 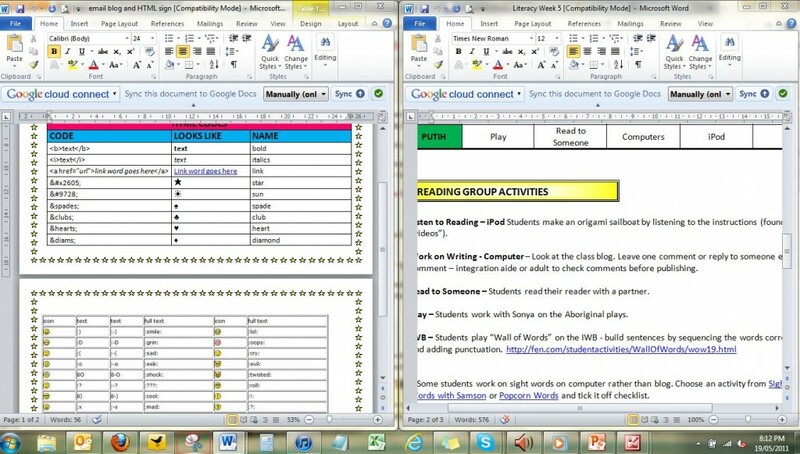 This feature makes comparing two windows side-by-side and multitasking a breeze. A few days ago, someone asked me if I knew how it works. I admitted that I didn’t after trying to figure it out when I first got Windows 7 and giving up too soon! To use this feature, simply make sure the two windows you want to put side by side are restored (the “square” option in the top right hand side of your screen). 1. 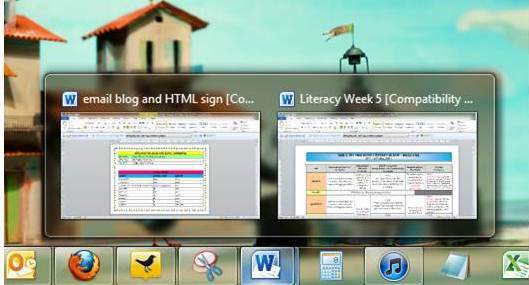 Drag the title bar of a window to the left side of the screen until the mouse is on the edge of the screen and an outline of the expanded window appears. Alternatively, press ‌Windows logo key +Left Arrow. 2. Release the mouse to expand the window then repeat to arrange the other window on the right hand side. Don’t get it? There is a video demonstrating the feature here. This is an incredibly simple feature which I understand is enhanced from the Windows Vista feature. I use the sticky note for my to-do list. I have experimented with all different sorts of ways to maintain a to-do list in the past from an actual paper sticky note, Outlook task list, Word document and Firefox add ons. The sticky note is simple, can be colour coded and goes everywhere with me (and my PC). Find out more about sticky notes here. 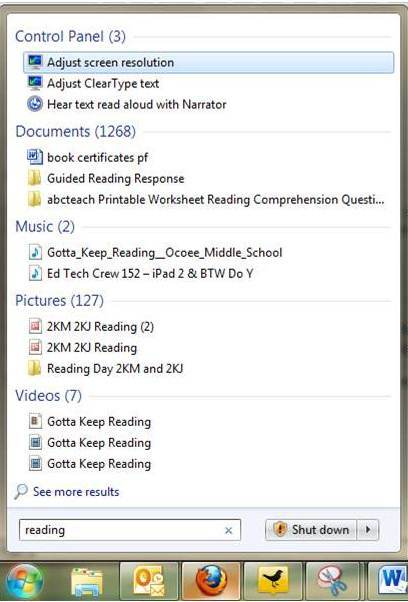 If you’re like me, your PC is a maze of documents, videos, music, pictures and other applications. When I’m looking for something, I simply open the Start Menu and type in the name of the file I’m looking for. Voila! Search results appear in seconds. No more wading through libraries and racking your brain to remember where you filed things! The taskbar is the tray with icons at the bottom of your screen. Pinning and jump lists means you can have the files and applications you use most right at your fingertips. Windows 7 lets you organise your taskbar with the programs you use most with bright clear icons, much like a Mac. Hover your mouse over icons with open windows to preview them. Another way that multitasking is made easier! Find out more about customising your taskbar here. The show desktop button is incredibly handy if you have lots of windows open and you want to access your desktop without closing everything. Simply hover your mouse over the rectangle on the bottom right hand side of your screen to view the taskbar and click the rectangle to access your desktop. Unclick to go back to your windows. What did we do before it? This is such a quick and easy way to make a screen shot to annotate, save or email. Screen shots are really handy when you’re capturing images of your desktop for blog posts (see below!). I’ve also used screen shots to email someone a computer error, capture an important Tweet and create instructions for handouts among other things! Simply type “Snipping Tool” into your Start Menu to find this feature and don’t forget to pin it to your Taskbar, you will probably be using it a lot! Learn more about Snipping Tool here. What are your favourite Windows 7 features? Are there any features you’d like to see in the next version of Windows? Thanks for posting this. I am a mac user myself, but my students use the Windows platform. Love these features I’ve learnt about and can now introduce effectively to my students and let them explore. “snipping tool” – my new best friend! Oh yes, Snipping Tool is my bestie also! I know there are many screen capture options around but this is just so quick and easy. 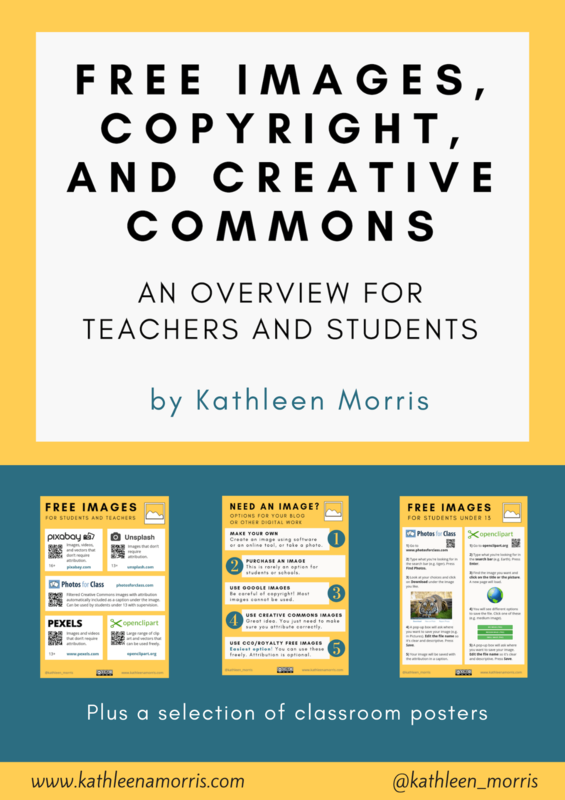 I’m glad these tips might help your students. My new work has given me a PC with Windows 7 and I must say that it is drawing me back from the Mac side. Since my 2yo gave my macbook a cup of coffee, I’m not sure it isn’t going to be replaced by a pc! Great article. Oh no, I have heard of a few toddler/computer incidents! Your poor Mac. Thanks for your comment. I’m glad I’m not alone in thinking it was complicated at first read! Thankyou! I was just saying this afternoon that I wished there was an easy way to get 2 windows on the screen at once. 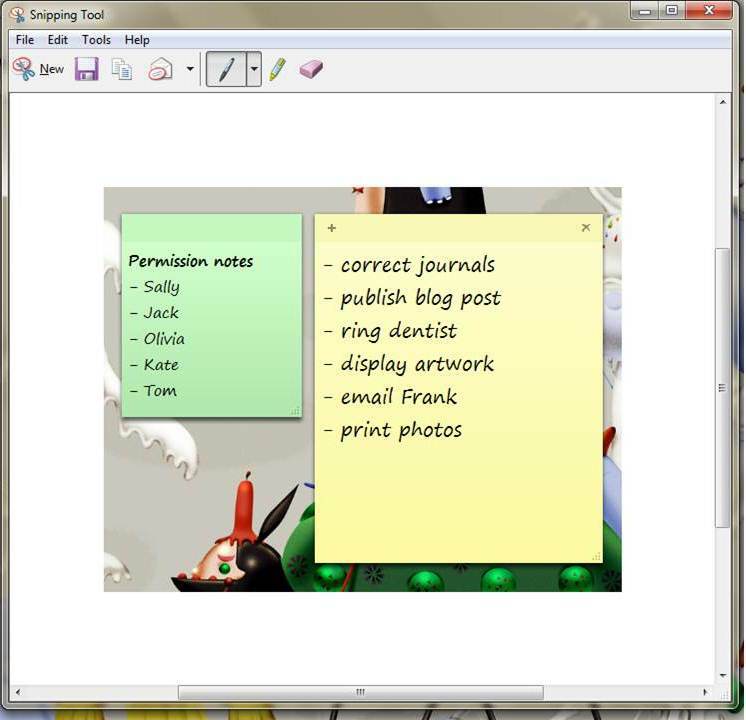 I LOVE sticky notes at the best of times – this feature gets used regularly on my laptop. Thanks so much for all your expertise on these blogs. I thoroughly enjoy reading them! It is great to see that some of the Mac-like features are now on PCs too. I will definitely take note of these for working with my students and their netbooks. As for me… you know me, I am a MAC convert and just can’t wait for the day for you to join me on the dark side! It must get tricky working with kids on PCs when you’re a Mac user! Haha, yes one day you might convert me although I have seen from past experience, if you want a Mac it is easier not to be in the minority at your school. But that is another story…. How nice to see one of my students leave a comment on my blog! You certainly love blogging, Kayla. Keep it up! Thankyou for replying to me . Kathleen, Thank you so much for a clearly presented boost to us Windows 7 users. 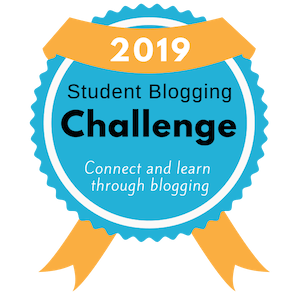 I accessed your blog through Edna Sackson and seeing that you had connected to give a teacher training session through Skype had me asking myself: would you like to do it again? I teach EFL in a Mexican university and preapre EFL teachers to take the TKT exam from Cambridge. I have found that very few teachers use technology and very few schools provide Internet or technology to their students, elementary, secondary high school, and believe me it’s been a struggle aeven at university level. I am involved in organizing MEXTESOL (the Mexican branch of TESOL) conferences and we have an Academic Saturday coming up on July 2nd, Saturday. Would you like to come visit for about 30 minutes in the morning via Skype? I know it is the middle of the night for you, but between 100-200 teachers would have the benefit of your Skypresence. Ask Edna about me, I have been putting off writing her a post for two months I feel humbled in the presence of greatness and experience, but eventually I will write what I owe her. I have just started blogging and building my PLN this year and I just subscribed to your blog Yay!